Description: Recommended enhancement: Hybrid, Fighter. Even DoomKnights swear their service to, or are made to serve Dage. Their soul's have been claimed by both Dage and Doom. Create this armor by merging Dark Sepulchure's badges. 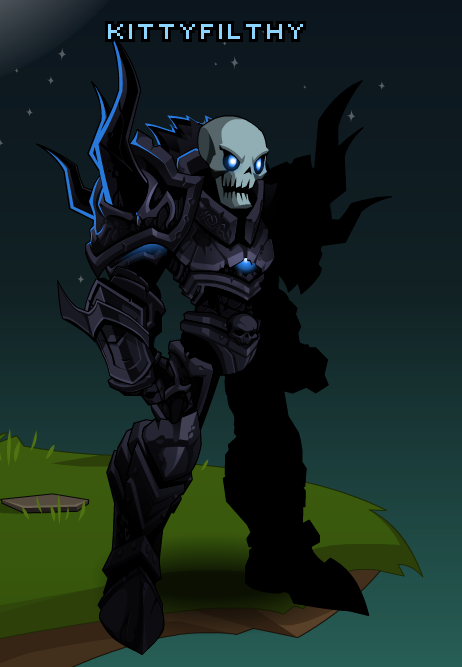 These come from the "Become a Doomknight" quest and the Dark Sepulchure monster. Description: You leave a mark of Doom upon your opponents soul which slowly but surely cripples them and empowers you. Causes your opponent to do deal 5% less damage and take 7% more damage, while also increasing your damage by 7%. Auras stack to 4. Applies Touch of Doom and Touch of Death to your opponent, increasing their damage taken by 7% and reducing their damage done by 5%. Applies Touch of Demise to you, increasing your damage done by 7%. All auras lasts 6 seconds and stacks up to 4. Note: The character that shows up in the animation (死亡) means Death in Chinese. Description: Using Dage's knowledge of souls you assualt your opponent's soul directly and take some of their force to heal yourself. Heals 25% of user's maximum health. Description: You immerse yourself in the Darkness of the Legion and of of Doom and direct that power towards your opponent dealing large damage. Applies Torment for 4 seconds and also reduces your opponent's haste and hit chance by a small amout for 4 seconds. Applies Torment to the target for 4 seconds, reducing their hit chance and haste by 10%. This is furthered with Shadow Step, continuing to reduce their hit chance and haste by an additional 15% for 4 seconds. Note: Deals 200% magical damage. Description: Deal 20% more damage from all sources. Description: Doom hastens and the Legion beckons. Does a strike for large damage and hastens your opponents doom dealing a huge DoT for 8 seconds. Also adds the Decay for 8 Decay, Cannot Heal for 10 seconds preventing your opponent from healing and a small bonus to your hit chance for 8 seconds. Also applies Legion, increasing your hit chance by 15% for 8 seconds. Note: Deals 260% physical damage on impact. Description: Damage resistance increased by 10%. 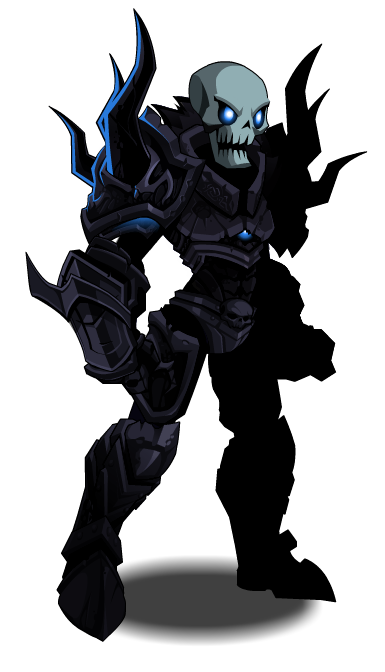 Classic Legion DoomKnight (Merge) (2). Thanks to Apus and kittyDEMON.